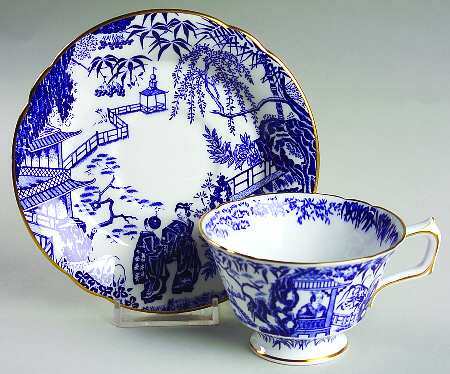 How do I sell my Set of China? 1. Take all your china out of the barrels. Put like things together. For example put sets of dishes in a separate grouping by themselves and show serving pieces clearly. 2. Take photographs of the groupings. If your camera allows, take photos of the marks on the back. 3. If not, write down or draw the marks or info that is on the back of the dishes. Note down any chips or cracks or stains – no matter how small. 5. Then shop the photos to dealers to gauge interest. That way you don’t have to drag the items around to see if there’s any interest. It’s a lot easier on your back! 6. Once a dealer is interested then you simply go to where you know the dishes are, pack them in a box and bring the dishes to the dealer so they can have a look. Dealers usually have a pretty good idea if they are interested as soon as they see your pictures. If you are up front about any damage or wear and they are still interested enough to have a look chances are you will have made a sale. Any other tips to share with sellers of china?